Coping with two in cloth diapers! 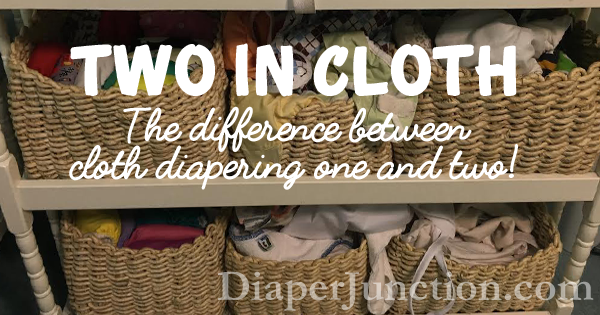 A mother with two in cloth diapers at the same time shares with you the method behind her cloth diapering, what works and why. In my first post, I mentioned that I am planning to cloth diaper my babies. I admit it. I have fallen for the cute designs and soft fabrics that make up the world of modern cloth diapering. But my first turn to the idea came in dollars and sense... Upon the news of expecting twins, I tried to wrap my mind around the sheer number of dirty diapers that two cute little babies would make. The figures boggled my mind, and worse still, threatened my checkbook! Any time there are multiple babies and/or toddlers in a home still in diapers, the budget has to expand to keep those kids' bums covered (pun intended *wink*). One thing you do not see in the disposable diaper market, but is a steadily growing style of cloth diaper is one-size cloth diapers. One-size cloth diapers are an economical approach to cloth diapering multiple children of varying ages and sizes.